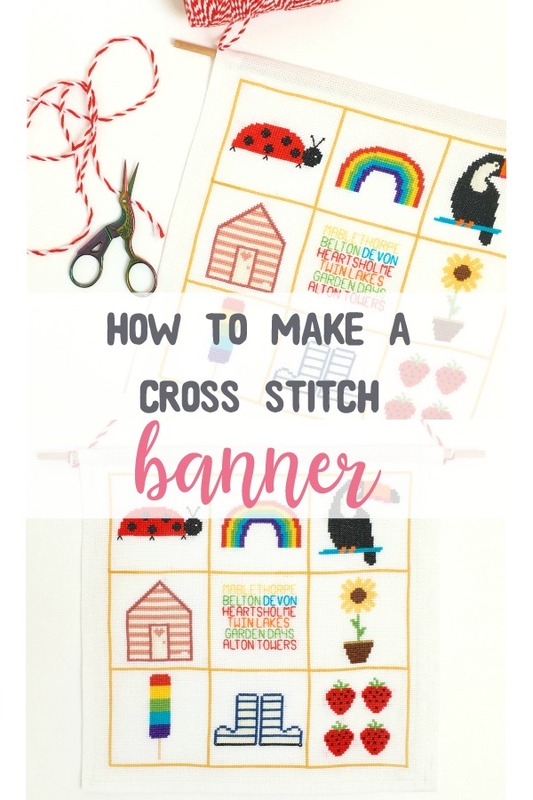 In this post, I show you how to make an easy DIY cross stitch banner you can whip up with any finished design. 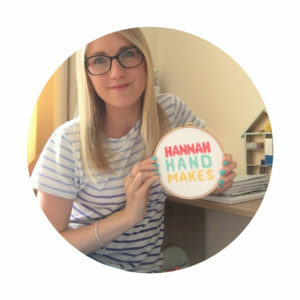 Something a little different from my usual hoops, I made this cross stitch banner using my finished stitch along design. Well, it’s actually not that finished, I’m waiting for the end of summer so I can add another place we have visited to my middle square. This is going to hang in the “kid zone” part of my kitchen; I’d love to know where you are going to hang yours! Let me know in the comments below. Prepare your aida. You may need to give it a wash if you think it needs it and make sure all your threads are snipped off at the back. Then give it an iron, making sure your aida is right side down. Leave your iron on for step 2. 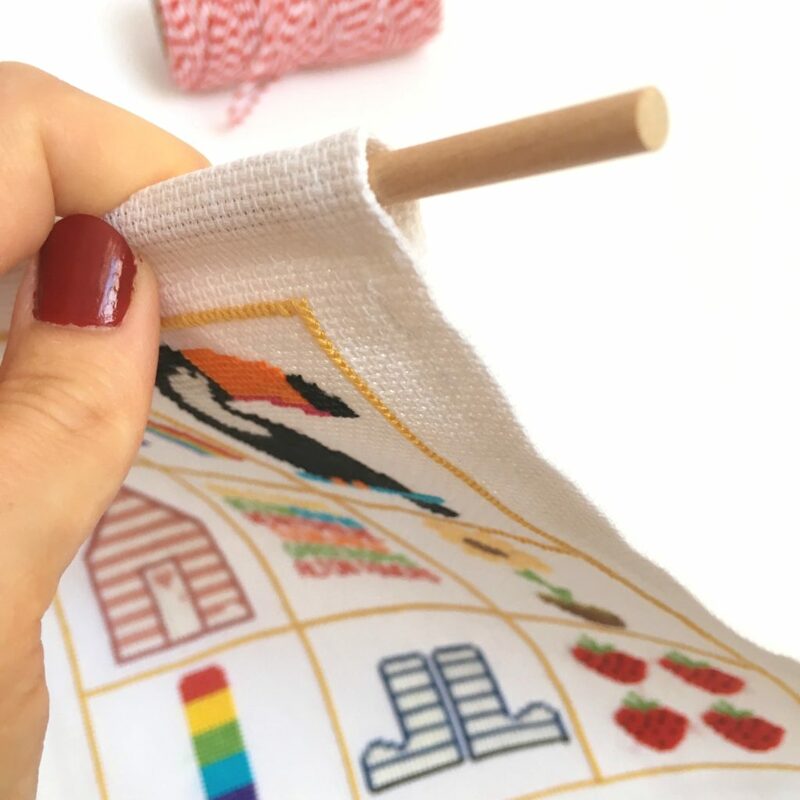 Fold the edges of your aida in between 1/2 – 3/4 inch, or so they are all an even distance from your design. Snip off the corners and iron over the folds. Starting on the right edge, sew along the folds using a sewing machine or a running stitch if you don’t have one. 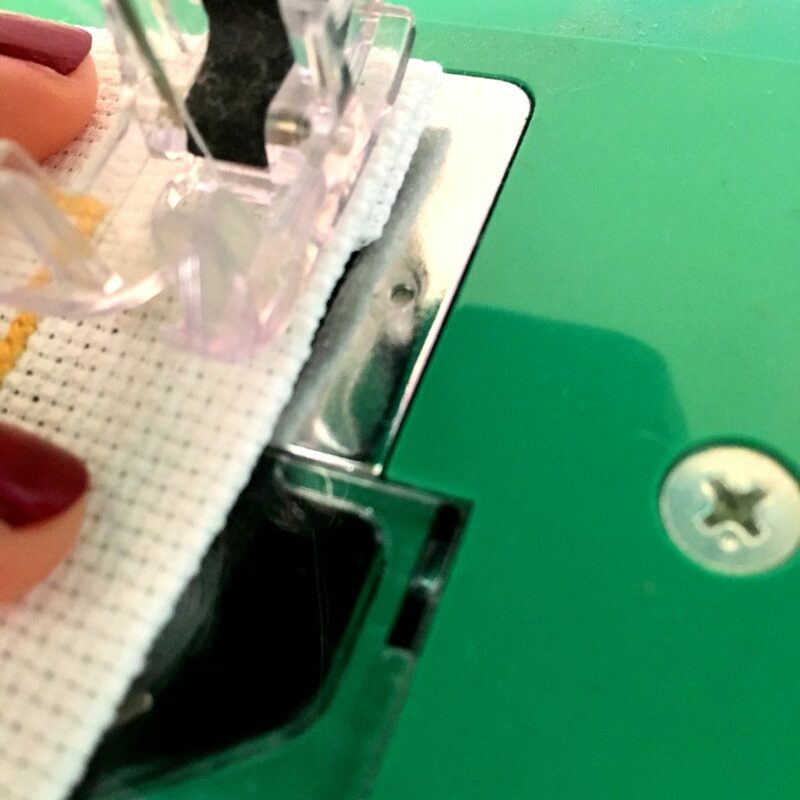 I came in about 1/4 inch to make sure I was stitching the fold closed. Repeat on the bottom and left edge, but leave the top. For the top edge, fold it over enough so your dowel will slide through the gap. Check it fits, then take it out and sew just under where the dowel will sit. 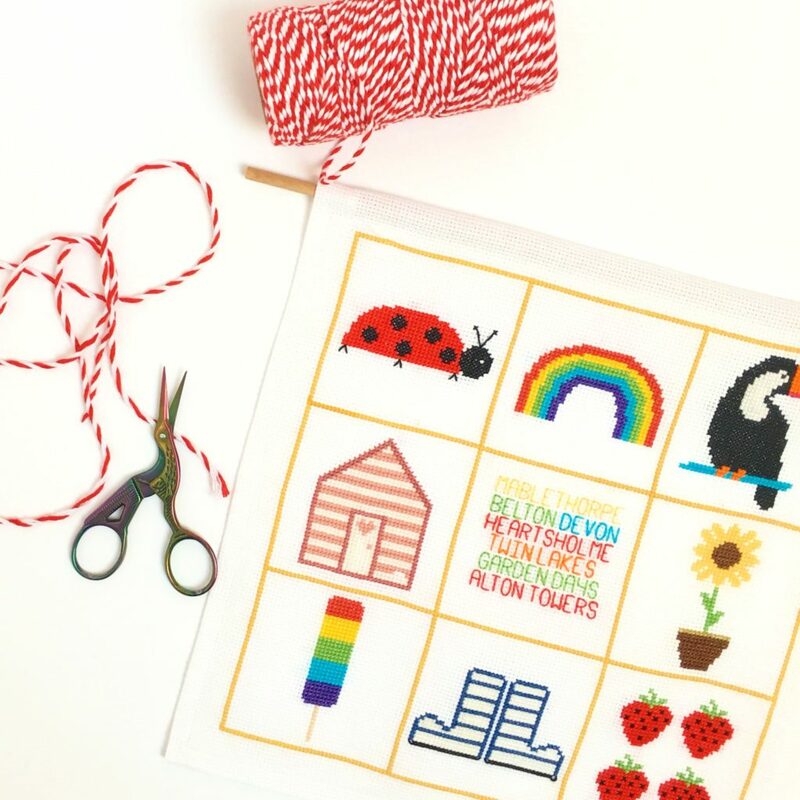 Put your dowel back in and attach your twine or ribbon to the edges ready to hang up your design! If you have any questions about this tutorial just get in touch. 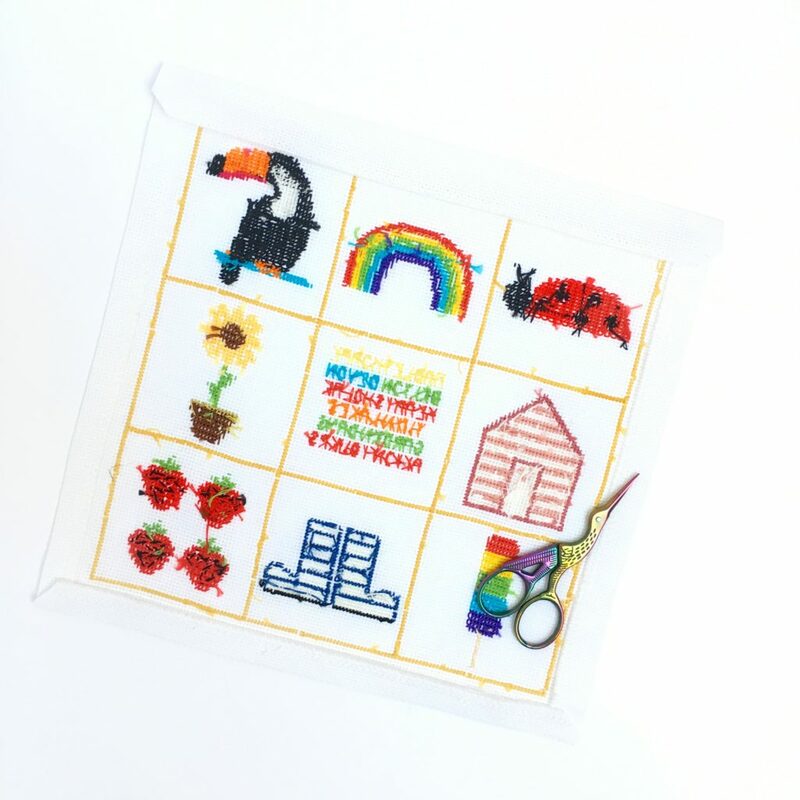 The pattern for this Summer design will be coming soon, but in the meantime, you can join my Facebook group where you can find all of the squares.